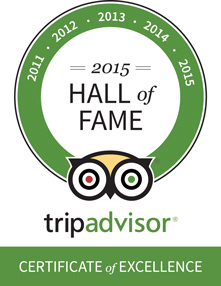 TripAdvisor Hall of Fame Award and Certificate of Excellence 2015. THE FISH POT RESTAURANT AWARDED THE CERTIFICATE OF EXCELLENCE FOR 2015. St.Lucy, Barbados – 20th May, 2015 – Little Good Harbour Hotel & Spa today announced that it has been recognized as a TripAdvisor® Certificate of Excellence Hall of Fame winner and the hotel's restaurant which is famous in it's own right achieved the Certificate of Excellence 2015 Award. The Certificate of Excellence award celebrates excellence in hospitality and is given only to establishments that consistently achieve great traveler reviews on TripAdvisor. The ‘Hall of Fame’ was created to honor those businesses that have earned a Certificate of Excellence for five consecutive years. Being awarded the TripAdvisor Certificate of Excellence five years in a row and inducted into the ‘Hall of Fame’ is a true source of pride for the entire team at Little Good Harbour Hotel and we’d like to thank all of our past guests who took the time to complete a review on TripAdvisor. There is no greater seal of approval than being recognized by one’s customers. With the TripAdvisor Certificate of Excellence based on customer reviews, the accolade is a remarkable vote of confidence to our business and our continued commitment to excellence. Thanks to our friends at Virgin Atlantic for this little snippet of Little Good Harbour Hotel & Spa, Barbados - find us at 22mins 40 secs! Barbados isn’t just what you see in the glossy leaflets. There’s a flourishing island underneath the media that’s filled with astonishing landscapes and hidden holiday gems. However, the search off the beaten track can sometimes feel a little daunting. 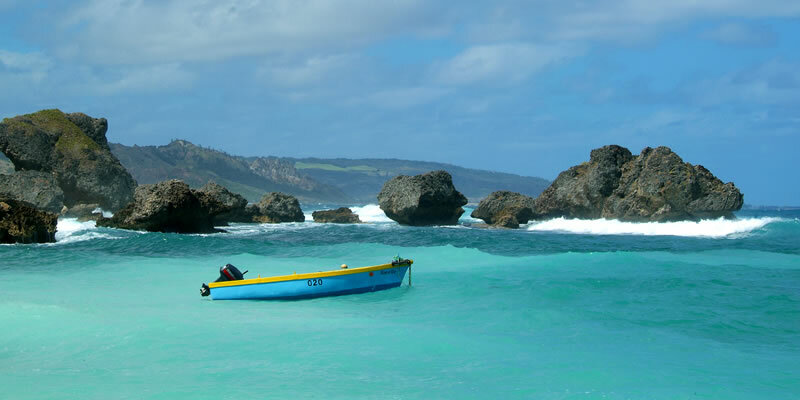 So, lets break down East Meets West to see why it’s our recommend gateway into the real Barbados. 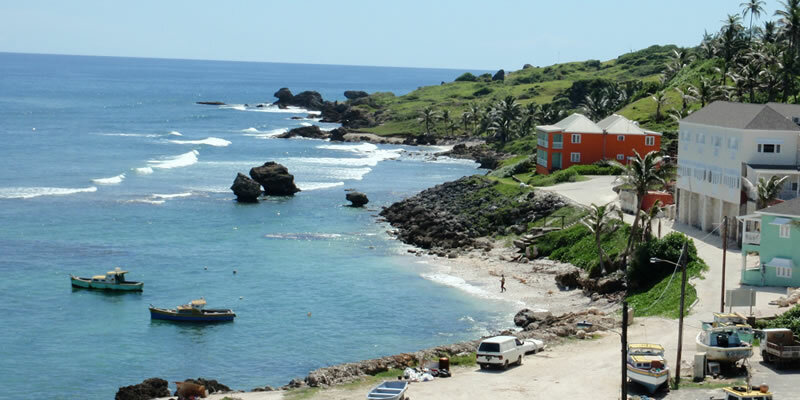 Little Good Harbour is the honest Barbados, set within a restored 17th century fort in the fishing village of Shermans. There’s a charm to Little Good Harbour that can’t quite be captured in words, but I’ll try regardless. It’s one of the few remaining family run hotels in Barbados, so the hospitality has a distinctly welcoming feel that eludes many modern holiday destinations. Most West Coast hotels are new, polished, commercialised Goliaths, and despite their generally excellent facilities it’s deeply refreshing to see a truly Bajan hotel that still delivers unprecedented excellence. The all-suite format adopted by Little Good Harbour, coupled with the fabulous tropical garden view with glimpses of the ocean from your terrace (or balcony), creates genuinely peaceful island escapes. Fully equipped kitchens give you as much independence as you like, and four poster beds add a palatable touch of finesse in keeping with the hotel’s colonial origins. The East Meets West package serves up 4 nights in a One Bedroom Garden Suite, giving you plenty of time to enjoy the facilities and see the sights on the west coast. While we’re on the subject, the west coast of Barbados is awash with trendy bars, exquisite restaurants and stylish boutiques carrying many of the world’s leading retail brands and luxury goods, so you can get a taste of the new Barbados alongside thetimeless charisma of Little Good Harbour. Unlike most hotel restaurants, The Fish Pot at Little Good Harbour is famous in its own right. The Fish Pot built its reputation on an unyielding commitment to fresh food and local seasoning, with a special interest in seafood. The open-air seafront setting adds a tang of saltiness to the air that vouches for the promise of freshness, including speciality dishes such as Lobster ravioli, pan-fried Mahi Mahi, and oven-roasted Sea Bass. The views are spectacular, and the coral stone walls help to distil an unprecedented level of calmness. This quest for culinary supremacy has earned The Fish pot a TripAdvisor Certificate of Excellence, and seen it named among USA Today’s 10 Best Barbados Restaurants. The East Meets West package includes 4 Meals at the Fish Pot, one for each night of your stay. 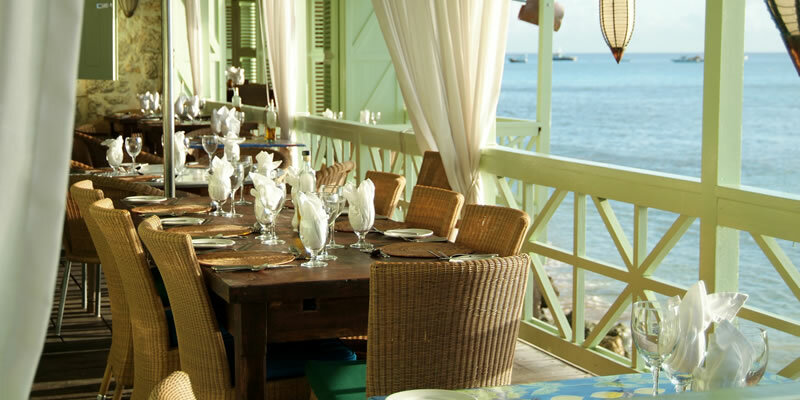 How many other hotels can serve up award-winning beachfront dining? Not many, take our word for it. The Atlantis Hotel is as boutique as it gets, with just 10 chic ocean-facing suites. This East Coast hotel, sister to Little Good Harbour, overlooks the powerful Atlantic Coast. Dating back to 1883, extensive refurbishments saw The Atlantis Hotel reborn in 2009 as a sequestered hideaway; a place where you can see Barbados from a new and dramatic perspective. The East Coast is distinctly different from the rest of island, distinguished by its rugged terrain and lush hillsides. Smaller, colourful villages like Tent Bay (home to The Atlantis Hotel) come framed by coconut trees and banana plantations. It’s a great place to explore, for the landscapes and local towns are full of opportunities. Just imagine throwing open your bedroom shutters to the rugged Atlantic coastline or ocean waves, before slipping back into the luxury of your four poster bed and watching the Caribbean sunrise. The Atlantis Hotel knows how to create unpretentious luxury and empowering exclusivity, and your 3 nights in a Coastal orOcean View Suite will be spent enjoying the lay of the land and lounging in the pool - or even surfing, if you’re the adventurous type. The Atlantis Restaurant also has a bit of a reputation as the place to enjoy a Sunday lunch, with a wine list personally selected by the owner to ensure quality. Much like The Fish Pot, the chef takes great pride in using locally sourced seafood and meat. The East Meets West package treats you to dinner nightly at The Atlantis Restaurant, so you can end every day with a good meal and a fine beverage. Life doesn’t get any better. 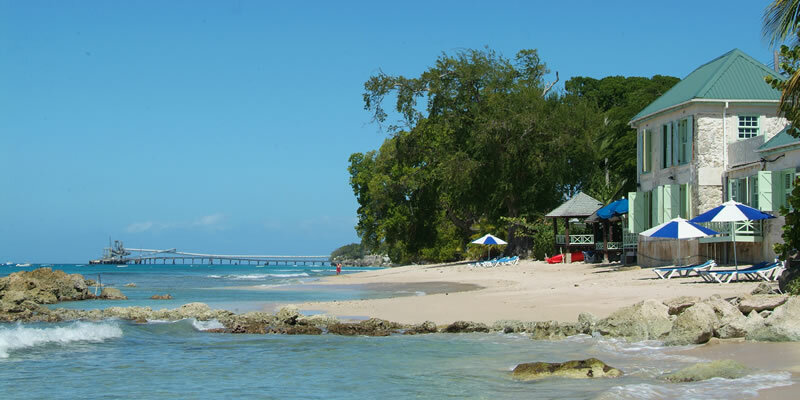 • See the beaches beyond Bridgetown: Foul Bay, Bottoms Bay, and Crane Bay – the latter widely considered one of the best beaches in the Caribbean. • Go Speightstown, home to the Arlington House Museum and some classic Bajan architecture, and pass through the rolling sugar cane fields to reach St Nicholas Abbey, the island’s oldest plantation house. • Head east to Bathsheba and have your breath taken by the strange shapes of thesea-weathered rocks, and then head a little inland to the Andromeda Botanic Gardens. Also, don’t be afraid by all the honking that goes on: car horns are often used as a way of saying “hello” or “thank you” to other drivers, so don’t sweat it. 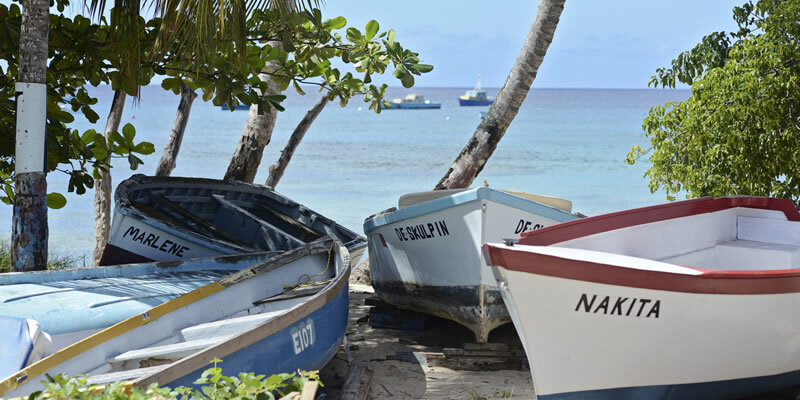 Top tip: Want to get an idea of the routes around Barbados before you go? Check outthis super useful online road atlas created by Skyview. If you want to get a true feel for Barbados then you should seriously consider the East Meets West package. You can make that dream Bajan adventure a reality, and you’ll see things from parts of the island that even the tourist guides scarcely know. The real Barbados is within your grasp Holidaymakers, so make it happen. BRIDGETOWN, BARBADOS. May 1, 2015 -- JetBlue Airways (NASDAQ: JBLU), the largest airline to the Caribbean, today announced its continued expansion in the region with seasonal weekly service from Boston’s Logan International Airport (BOS) to Barbados’ Grantley Adams International Airport (BGI), which will launch November 7. “Barbados has proven a customer favorite for our New York customers, and we’re happy to offer Boston customers the chance to experience the beauty and culture of Barbados,” said Robin Hayes, President and CEO of JetBlue. Barbados’ Minister of Tourism and International Transport, Richard Sealy, welcomed the service as a critical part of the strategy to diversify the island’s tourism source markets. “Boston is one of the most affluent states on the eastern seaboard of the United States and it presents an opportunity to diversify Barbados’ tourism business beyond the current US gateways. We look forward to continued strong cooperative marketing efforts with our partners at JetBlue to ensure the success of this new service”. As at April 2015, Barbados’ arrivals out of the USA were up by 27.4 per cent. The weekly Boston-Barbados flight will complement JetBlue’s existing daily service from New York JFK to BGI, which was launched in 2009. The flight sale is scheduled to commence on May 1, subject to receipt of government operating authority, with an introductory fare of only US $149 one way for travel from November 7, 2015 until April 30, 2016. JetBlue Getaways will offer customers heading to Barbados the opportunity to bundle flights and hotels, as well as with their car rentals and other amenities and activities. Four-day, three-night packages will start at US $345 per person at Courtyard by Marriott. JetBlue’s flights to Barbados will be operated on a 150-seat Airbus A320 and will offer the airline’s award-winning service featuring assigned and comfortable seating; free Fly-Fi, the fastest broadband internet in the sky; complimentary and unlimited name-brand snacks and non-alcoholic/soft drinks; free, live DIRECTV® programming and 100+ channels of SiriusXM® radio in every seatback; and the most legroom in coach (based on average fleet-wide seat pitch of U.S. airlines). The Boston-Barbados flight is the fifth new Caribbean seasonal service launched from Boston in the last year following Liberia, Costa Rica (LIR); Puerto Plata, Dominican Republic (POP); Saint Lucia (UVF); and Port-au-Prince, Haiti (PAP). JetBlue also recently announced it would offer its highly successful Mint experience between JFK to Barbados on Saturdays between November 7, 2015 and April 30, 2016, and daily between December 19, 2015 and January 4, 2016. 7.45 a.m. – 1.39 p.m.
2.35 p.m. – 6.59 p.m.
(a) Fare Restrictions: Fare includes government taxes/fees and must be purchased by 5/5/15 (the earlier of 11:59 PM ET or local) for flights from Boston, MA (BOS) to Bridgetown, Barbados (BGI) on Saturday only between 11/7/15 and 12/12/15 (blackout date: 11/21/15) This fare is valid for Boston, MA originating (southbound) traffic only. BOS-BGI non-stop service available Saturday ONLY until April 2016. 14-day advance purchase required. Fare is subject to limited availability; may not be available on all days or all flights; may change without notice; must be purchased at time of reservation; and is one-way, nonstop (except as otherwise noted), nonrefundable and nontransferable. Reservations made one week or more prior to a flight’s scheduled departure may be canceled without penalty up to 24 hours after the reservation is made. First checked bag is included (weight and size limits and exceptions for itineraries including flights marked or operated by other airlines apply). Fares do not include fees for oversized/overweight/extra baggage or other fees for products/services sold separately. To view baggage fees and other optional services and fees, click here. $25 fee per person applies to fares purchased by phone or at an airport or ticket office. Cancellations/changes must be made prior to scheduled departure (otherwise all money for fare is forfeited); $150 change/cancel fee per person will apply, and for changes, there may be a fare adjustment. Cancellations receive JetBlue travel credit, valid for one year. Proper documentation required for boarding. All deadlines based on EST. Other restrictions apply. (b) Price is per person, based on double occupancy, and includes hotel rates, hotel taxes, roundtrip airfare, and gov't taxes/fees applicable to airfare based on specified departure city. Price may vary for other departure cities. Price shown is sample price found 4/30/15 on JetBlue.com/getaways for travel departing BOS; is available on select dates: 11/9 - 11/12/2015 and 11/16-11/19/2015 and may not represent current savings. Package/price subject to availability; may change without notice; valid for new bookings only; capacity controlled; may not be available on all dates or with all flights; and may be restricted to certain hotel room categories. Package must be purchased at time of reservation and is nonrefundable and nontransferable. Changes/cancellations must be in accordance with JetBlue and hotel policies. JetBlue requires changes/cancellations to be made prior to scheduled departure, otherwise all money for package will be forfeited; $150 change/cancel fee per person applies. Hotel change/cancel policies and fees apply, vary by property, and may be more restrictive than the JetBlue policy. Call 1-800-JETBLUE, option 3 for the specific change/cancellation policies and fees that apply to a particular package. For changes, there may be an increase in package price. Valid cancellations are for Getaways credit only, valid for 1 year. Proper documentation required for boarding. Other restrictions apply. The island of Barbados offers the most authentic Caribbean experience with its exceptionally rich culture and history rooted in remarkable landscapes. Rated as one of the world’s sexiest beaches by Concierge.com and the Travel Channel; Barbados’ Crane Beach in St. Philip stands as a premier destination for travellers. Barbados is also home to numerous internationally renowned chefs who masterfully put signature spins on local delicacies and traditions. Barbados is an ideal stage for world-class events and in collaboration with American Express Publishing Corporation, Barbados hosted its first annual Barbados Food & Wine and Rum Festival in November 2010. The country has also hosted numerous athletic championships, including the 2006 PGA World Golf Championships-Barbados World Cup, the ICC Cricket World Cup Finals in 2007, the Sentebale Charity Polo match with Prince Harry of Wales in 2010, the ICC Twenty20 Cricket Finals for 2010, and the inaugural BBC Top Gear Festival in 2014 at Bushy Park Circuit. Barbados hosted Classical Pops and the Race of Champions in December 2014. Accommodations range from picturesque plantation houses and villas, to quaint bed and breakfasts and award-winning, five-star resorts. Grantley Adams International Airport offers even more non-stop and direct service from Toronto and Montreal via Air Canada and WestJet, making Barbados the true gateway to the Eastern Caribbean. 2014 marked the 65th anniversary of the nonstop service on Air Canada from Toronto to Barbados and on December 1st, 2014, the Boeing 777 was introduced on the route. Three weekly direct flights to Barbados will operate during Winter 2014 – 2015 from Montreal. Barbados is home to five of the Top 25 Hotels in the Caribbean as voted by Trip Advisor’s ‘2014 Travelers’ Choice Awards. The island of Barbados has recently announced its newest division of tourism affairs – the Barbados Tourism Marketing Inc. (BTMI) and the Barbados Tourism Product Authority (BTPA). Built out of the original Barbados Tourism Authority (BTA), the new divisions will work to transform the current tourism landscape, focused on keeping the island top of mind in the dynamic and ever-changing tourism industry. For more information on travel to Barbados, visit www.visitbarbados.org, follow on Facebook at www.facebook.com/VisitBarbados, via Twitter @Barbados, contact the Barbados Tourism Marketing Inc. (BTMI) at 246-467-3600 or, download the FREE Barbados Official Guide App for iPhone and Android devices.